The American Eagle from the Great Seal of the United States. Solid brass wall decoration. 3.25 inches tall, 2.5 wide. Unknown age. Estate purchase. 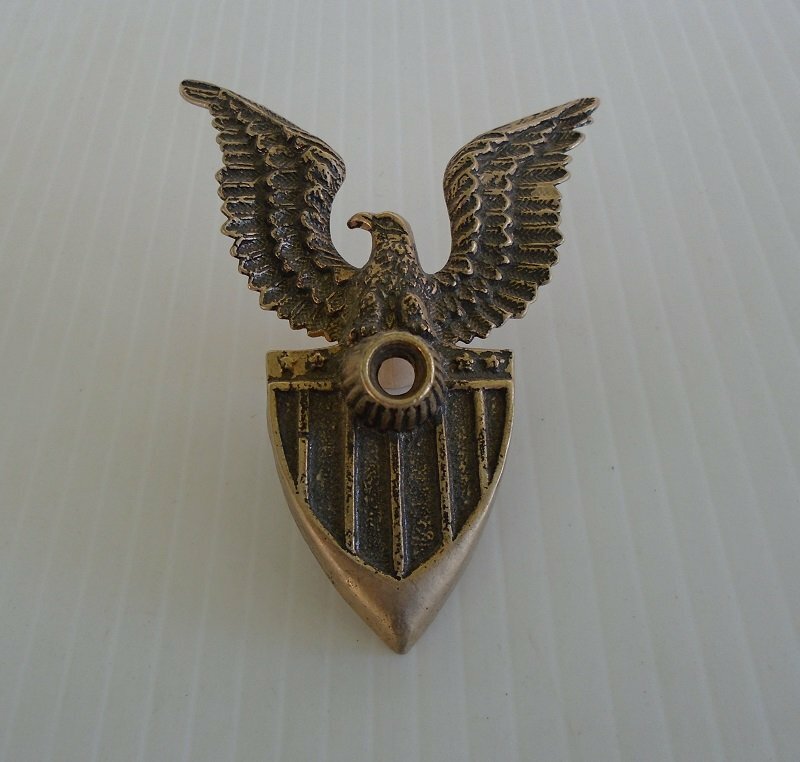 This solid brass wall decoration features the Eagle, also known as the Great Seal of the United States. Its wings are raised high. There is a shield on its front. It measures 3.25 inches tall by 2.5 inches across at the wing tips. There is an opening in the center for inserting a screw for attaching it to a wall, a desk, or anywhere else you'd like. (A screw is not included). You could even insert a hook that has threads on one end to screw it into a wall and then you could hang items on it. I don't know the age because I purchased it at an estate sale. It looks to have been around a while, so I'd guess maybe 1960s to 1970s. When I purchased this one, I also purchased a couple of other similar eagle item. Check my other listing to see those. Buyer to pay $3.99 USPS First Class Mail Parcel delivery charges. Delivery is from California.